Today’s post is a guest post by author / cook “Alyssa Gangeri”. Welcome, and thanks for visiting! I believe baking should be a fun and interactive activity for adults and children. I developed an interactive storybook cookbook because as a child, and as chef I have always been a visual learner. When trying to decide on what type of cookbook to write I quickly realized there were not a lot of children’s cookbooks. In this day and age with the amount of cooking shows, competition shows, and now even adolescent cooking competitions there is a large gap in the children’s cookbook category. I found that the cookbooks that did exist for children even though they were filled with bright colors, fun recipes and themes it was still a standard cookbook. Recipe, picture, procedure. I don’t believe we are engaging a child enough with that. Why read a boring cookbook filled with long procedures when you can read an interactive story that teaches you the same thing? It’s a new concept for the cookbook world but at the same time we are teaching children a lot of things through storybooks. Why not baking or cooking? Great, so now I have a fantastic concept getting published and into the market should be a breeze! Not so much. (Que the screeching tires) I learned quickly that this was going to be a very long hard process with a lot of rejection, and when I say a lot I mean A LOT. You will need a literary agent to be able to get into or even seen by a big time publisher, and I am sorry to say but they are as hard to get as landing a publisher. My biggest suggestion for this process if you have the means is to find a Writer’s Digest conference that offers a “pitch slam”. The conferences are really expensive to attend but you can buy a pass just to go to the pitch slam. A pitch slam is where you will be thrown into a room of agent hungry authors (seriously) where you will have three minutes to pitch your story and most importantly yourself! Do your research and figure out what agents are best suited for you and your book. Make a list and once they give you the map of the room plan your attack. You only get 90 minutes to see as many agents as you can. It is stressful but worth it. I received 7 different agents cards that were interested in my book. I received more attention in 90 minutes than I did over the past 4 months of submitting my manuscript via email. It will cost you, but well worth it compared to the months of checking your email vigorously hoping for a response. Sanity saved…for now. Okay you have landed an agent, (Wooohooo!) what now? Well first, you need to definitely celebrate. I know it sounds corny but this industry is all about small victories. You deserve some celebration! My biggest advice though will be do not sit back and wait. Keep writing, and keep searching for publishers that you think may be a good fit for you, preferably the small houses that will accept unsolicited manuscripts. Just because you have an agent does not mean they will be able to sell it. You need to continue to search for the best possible fit for your book. My agent had my book for over a year, and then I decided to take fate into my own hands… One year and three books later…. It’s possible. Anything is possible just as long as you’re willing to fight for it. Illustrations are key to your success. Find the illustrator that speaks to you, and one that brings your words to life. It will be difficult to not tell them exactly how you want something or how you want a character to look. Allow the right illustrator to bring it to life not just draw what you “think” you want it to look like. You will be amazed with what happens. Plus most illustrators do not like to be told how to do their jobs just like authors. Unless you’re famous I am sorry to say but you are going to be the biggest part of your marketing team. Once you’re published is when the hard part comes (unreal right? Like this process hasn’t been hard enough?) Go to stores, talk to the manager, arrange book signings, go to schools, blogs anything you can. Getting yourself in front of as many people as possible is your goal. Find solace in others experiences. I found that a forum called absolutewrite.com brought me comfort in times of rejection. But remember that everyone’s path is different. Try and enjoy the ride and always celebrate the small victories. Sanity found… for now. 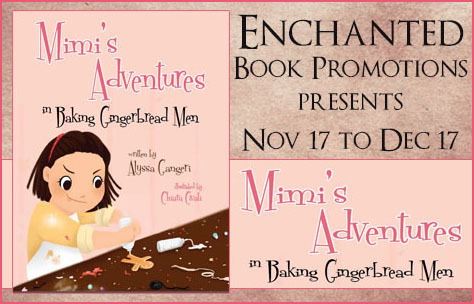 Embark on a baking adventure with Mimi where she will measure, mix, and bake her way to the perfect batch of gingerbread men. If Mimi can do it, so can you! 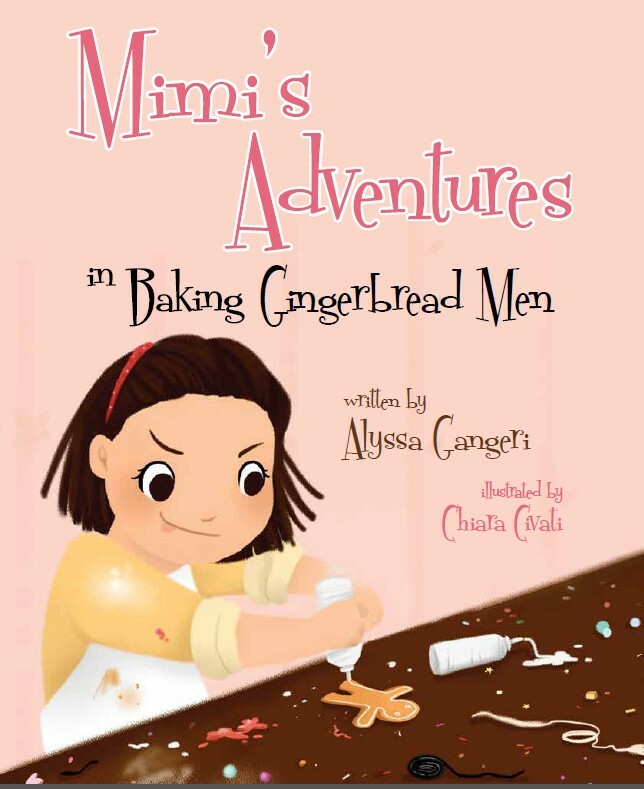 Mimi’s Adventures in Baking Gingerbread Men is the third book in the Mimi’s Adventures in Baking series. As a child she loved baking and everything that came with it. As an adult and food lover she realized there was something missing when she frequented bookstores. A interactive children’s cookbook. And we are not talking about a boring old cookbook for kids with lots and lots of recipes, and some pictures. Children these days have just as much interest in the kitchen as there parents do, but the ordinary cookbook is just not going to cut it. She created Mimi’s Adventures in Baking to give children and adults a way to get into the kitchen and allow the child to become the chef and the adult the assistant. Each book has one recipe and an interactive storyline the child can read, and at the end go into the kitchen and do what Mimi did! And for the “non-baking” parent, these elite pastry chef recipes are tested and ready for even the most inexperienced baker! Impress other moms with Mimi’s creations! Mimi’s Adventures in Baking will also teach children how to measure, mix and bake their way through the kitchen while also giving safety tips along the way. No more boring cookbooks! Now there is a fun, exciting and educational way to learn how to bake! 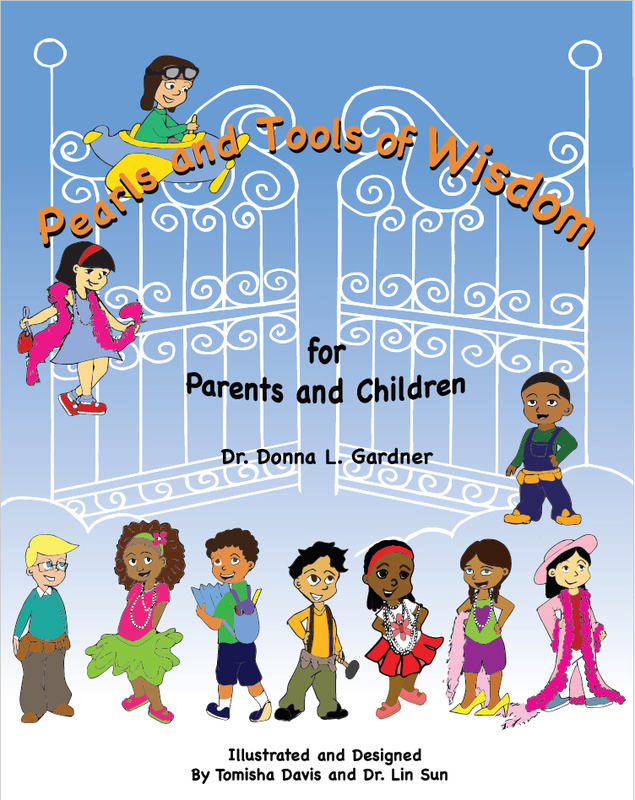 I’m hosting a guest post today by Dr. Donna Gardner, author of children’s book “Pearls and Tools of Wisdom for Parents and Children”. Please welcome her to my blog. Editing is simply the application of the common sense of any good reader. That’s why, to be an editor, you have to be a reader. It’s the number one qualification. Gottlieb gets right to the crux of the matter; we become better editors of literature by remaining consumers of literature. Let’s stop to think about that for a moment. What was the last book that you read? Did you enjoy it? If you did, my guess would be that you liked the book because it held your attention. There are several different elements that a writer can manipulate to captivate their audience. Today let’s talk about one element, the idea that simple and clear is always better. Writers who express their point in a distinct and direct way are more likely to hold the reader’s interest. Well this concludes my guest post. Today we were discussing the seemingly tedious, but necessary process of editing. You can read some of my work by visiting my blog: www.donnadoctora.com. 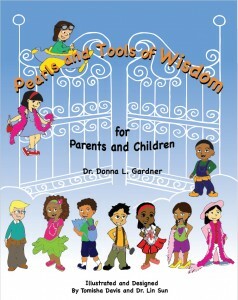 Also, be sure to take a look at my recently published Children’s book entitled Pearls and Tools of Wisdom for Parents & Children, which can be found here www.pearlsandtoolswisdom.com. Do you want to raise a child that is WISE? As adults we are charged with protecting our most precious commodity… our children. The greatest protection we could offer them is to provide them with guidance on attaining wisdom. Within the pages of this book you will read the pearls of wisdom offered in God’s word. As well as learn tools that you and your child can apply to everyday life. 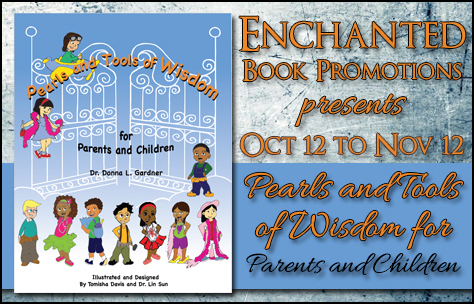 May Pearls and Tools of Wisdom for Parents and Children be a blessing for you and your family as it provides guidance on the importance of listening, praying, learning, being positive, being good, working, and persevering. Dr. Donna Gardner earned her Bachelor’s degree in Psychology from Binghamton University, and Master’s and Doctoral degrees in School Psychology from the Pennsylvania State University. She is in possession of a Georgia certification in School Psychology and a Georgia license in Psychology. She has over 15 years experience working in Pre-K -to-12 schools, and other clinical settings such as foster care and community based mental health agencies. 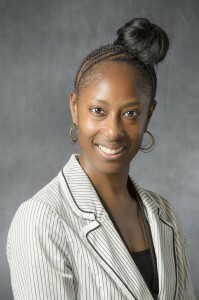 Her areas of expertise include assessment, intervention, consultation, and counseling. In addition, Dr. Gardner has over 8 years experience teaching undergraduate and graduate level courses for institutions such as Long Island University, Argosy University, University of Phoenix, Saint Leo University, and Iona College. She has published several articles in peer reviewed psychological journals and has presented at various national conferences. Dr. Gardner is a native New Yorker, now residing in Atlanta Georgia. Currently, Dr. Donna is in the process of publishing two additional books: the first a memoir/self-help book on coping with mood disorders, the second a children’s book on multicultural resiliency. When not engrossed in psychology or writing, Dr. Donna enjoys dancing, practicing Bikram Yoga, traveling, sampling new restaurants, doing community service activities with her sorority, and spending time with family & friends. All the animals ran a mile when they saw the cross looking witch striding purposefully in their direction. Meetings were abandoned. Young rabbits and badgers, mice and hedgehogs were bundled safely into their homes, out of sight. The animals were terrified of the little tearaway and what she was doing to Willow Grove. Lorraine O’Byrne was born in county Limerick, Ireland. 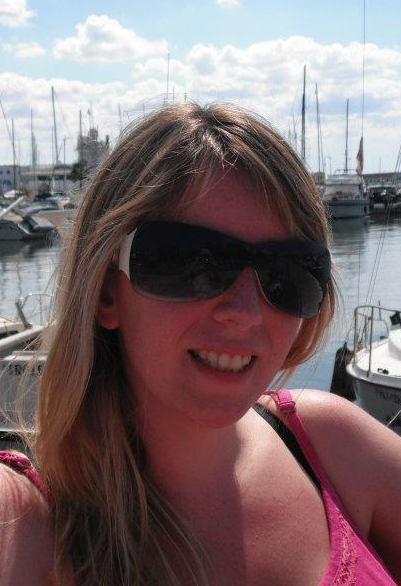 Following two and a half years in Dublin on a City & Guilds course in photography, she went on to teach English in Colombia then spent a further six months in France as part of her European Studies degree. Lorraine loved writing at a very young age and felt that this was where her true passion lay. 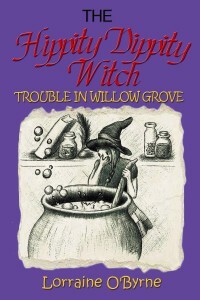 She underwent an intensive creative writing course before embarking on her first novel “The Wrath of Voodoo” (adult fiction) published in 2004 but since then has turned to writing children’s books. Her love of children’s stories comes from the active imagination she had as a child, Walt Disney Movies and the animals on her farm. I’m hosting a guest post for the book tour for lower grade chapter books “Weirdville”. There is also a giveaway for a $50 amazon gift card. Scroll down to participate! 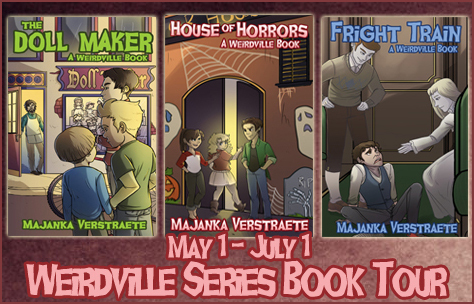 The covers for the Weirdville series are all drawn by the talented Noelle Giffin, my illustrator. I will talk about the cover design progress for “The Doll Maker” first today. 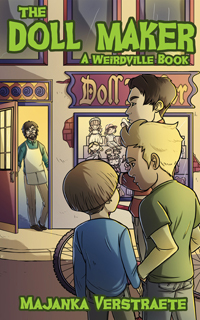 I started out by giving Noelle a basic idea of what I wanted the cover to look like – the three main characters featured on the front cover, along with the Doll Maker, the villain of this book. 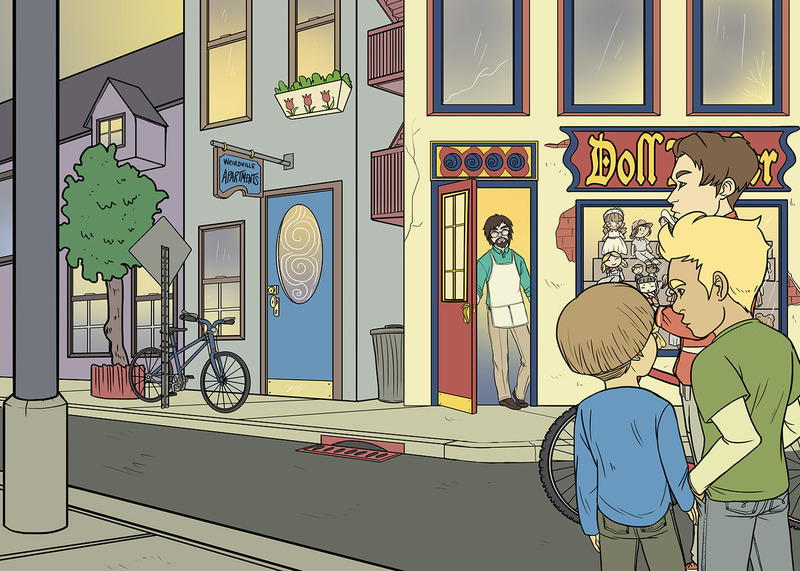 I also wanted the doll shop to be featured, since it’s the main setting for the book. Then on the back cover, I wanted the rest of the street, and to leave enough room for the book blurb and publisher info. Noelle got back to me, and sent me a basic sketch of the front and back cover. The left part of the image is the back cover, and the right half of the image (with the kids), is the front cover. Next up, Noelle added a basic background hue to the image, and lots of details. While it looked interesting before, those details really made the cover stand out. She also added dolls to the show window of the shop, and added the name of the shop on the billboard ahead. The next step was coloring. Noelle has a great eye for detail and colors. The first colored version was just basic colors, and no shading. I liked most of the colors she picked, but had no idea it would get a whoel let better with shading added. 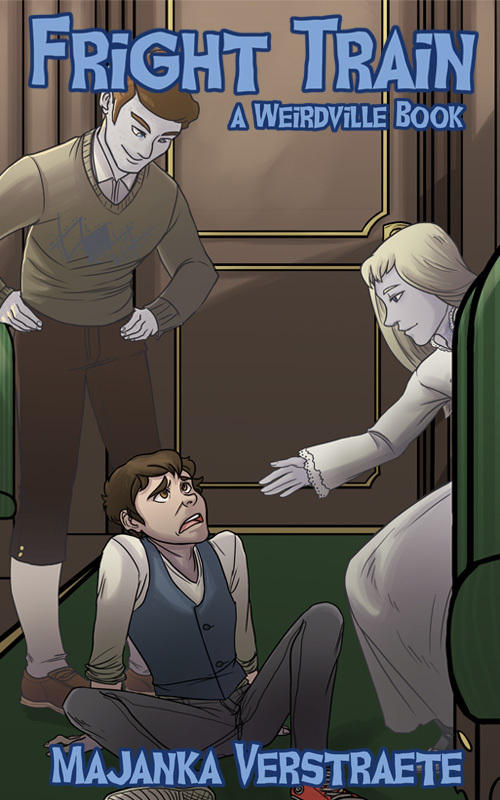 In the final step, Noelle added shading to the cover. I wanted it to be evening, with the sun almost setting, and she definitely made it look like that. The cover looks amazing with the shading added! That just goes to show a lot of work and effort goes into creating a cover. All my covers so far are gorgeous, if you ask me, and I look forward to working with Noelle on my next project. Derek’s little sister wants one of those creepy-looking dolls, staring at him from the strange new doll shop in town, and what his sister wants, she gets. Now they’re stuck with a doll that looks so human, it gives Derek the creeps. When Derek tells his friends, Martin and Jamie, about the new shop with creepy human-like dolls, they want to see for themselves. That has “bad idea” written all over it, but he takes his friends there anyway. They meet the mysterious doll maker, who reminds Derek of Dr. Frankenstein, and who brainwashes Martin into buying one of those scary dolls. Derek and Jamie push and pull Martin out of the shop, but something isn’t right with their friend. He’s shivering all over, and he has no memory of what happened in the shop. 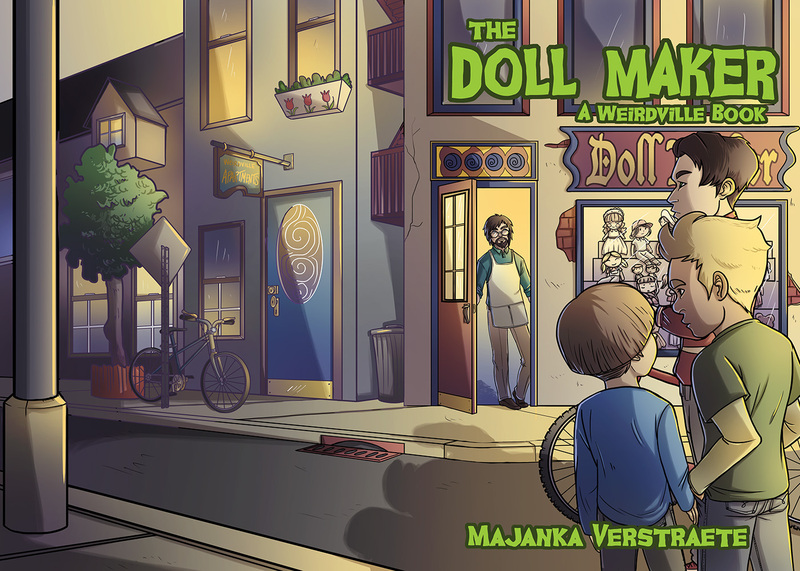 …the doll maker seems linked to a bunch of mysterious disappearances, and the last thing Derek wants is his sister, or his friend, being next on the doll maker’s list. This book is only $0.99 (eBook) and serves as a great introduction to the series! When her parents allow her to go to the fair, Jacky is over the moon. The fair is most famous for its haunted mansion, the House of Horrors, and her friend Ben can’t wait to try it out. Her best friend, Cass, is a little more reluctant, but then again, Cass has always been a chicken when it comes to getting scared. 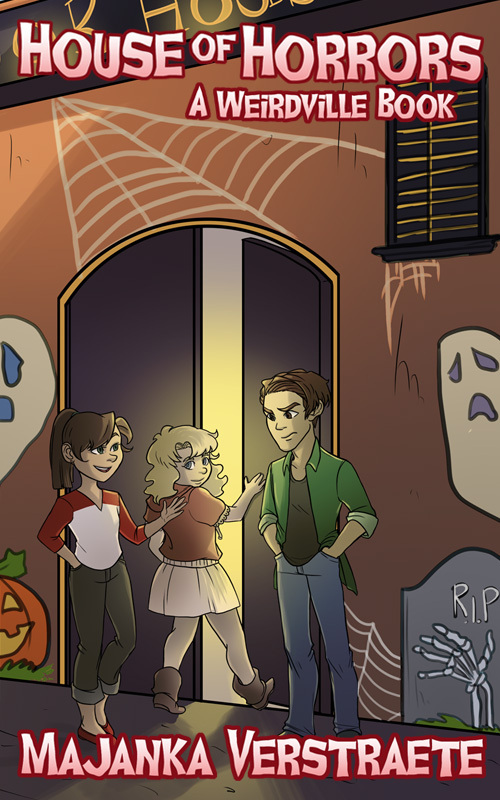 Jacky and Cass are determined to act tough, so when Ben suggests they try out the House of Horrors, the girls tag along, even though the place gives them the chills. As soon as the three of them enter the spooky monstrosity, the ride comes to a screeching halt, and the horror begins. The lights fade, and a hooded figure appears and tells them they’re stuck in a twisted game of cat and mouse. He will show them their worst fears, and if the kids manage to face down those fears, they’ll have a chance of getting out of the House of Horrors alive. If they don’t, well…. Thirty minutes to go. Thirty minutes to face their nightmares… and the clock is ticking. 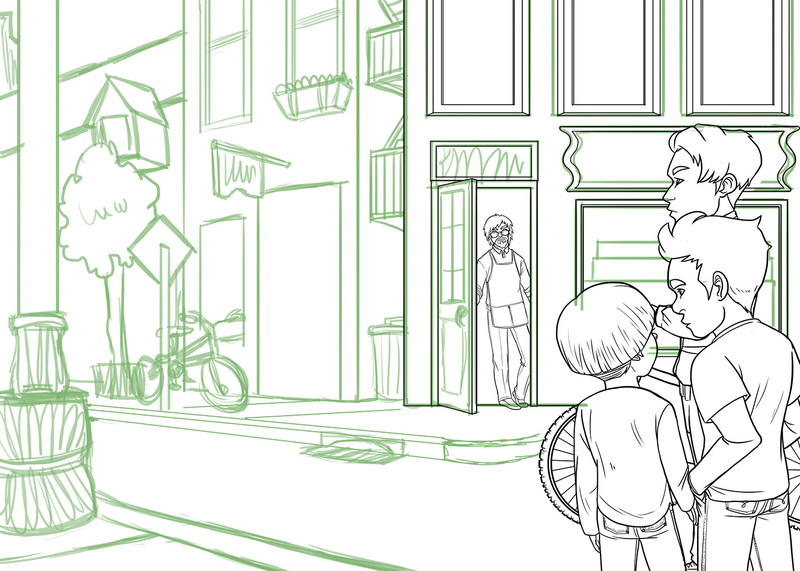 Charlie’s parents drop him off at the train station so he can visit his grandma in Weirdville. It’s a cold winter evening, so when his usual train is cancelled at the last second, Charlie wishes he’d stayed home. An hour later, shivering from the cold, he climbs onboard the next train to Weirdville, even though he’d rather not. It looks like something straight out of the nineteenth century, as if it used a time machine to arrive at the station. There’s a tour-wide giveaway for a $50 Amazon gift card. The giveaway is international, and the winner will be contacted through email. Go here to participate in the giveaway! Don’t you love kids books? I sure do! 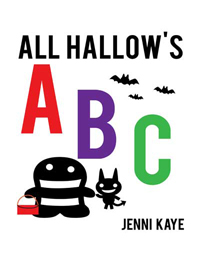 So when I saw “All Hallow’s ABC”, a cute kids book with gorgeous illustrations was going on tour, I had to sign up. Here’s a page from the book for your enjoyment. 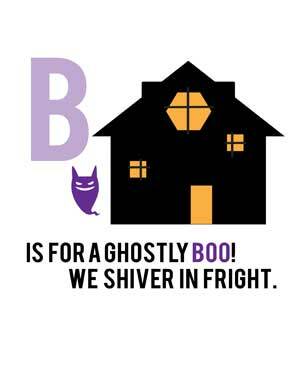 From Apples to Zombies, the alphabet has never been spookier! Find visual treats and tricky rhymes in this colorful Halloween primer. 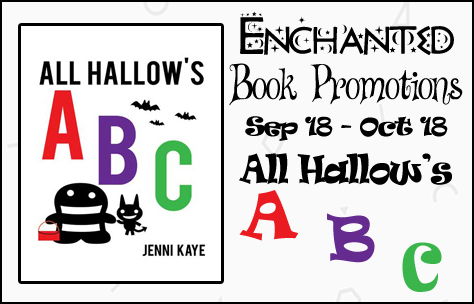 All Hallow’s ABC is a delight to read out loud for kids of all ages. 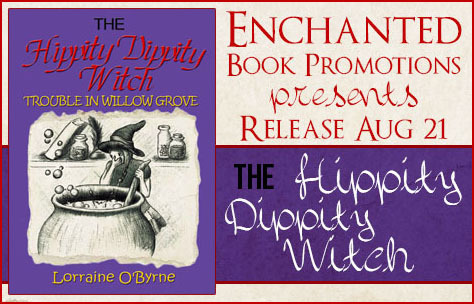 Buy the eBook through Independent Booksellers or from Barnes and Noble, Amazon, Tomely or Kobo. Buy the print book through special order at Independent Bookstores or through Barnes and Noble or Amazon.